Every now and then, when Emily Giffin is up in her attic on some errand, she’ll spy a plastic bin, inside of which is the manuscript for her first novel. Young Adult fiction, of course, is not the sphere in which Giffin has made her fortune. After that less-than-successful first attempt, she wrote Something Borrowed, a New York Times bestseller list-topping read about a woman who becomes entangled with her best friend’s fiancé, and which was later turned into a 2011 film. (Bless your heart Kate Hudson, but even a young John Krasinski couldn’t save that one). Almost overnight, this one-time litigation lawyer was one of the biggest names of the turn-of-the-century chick-lit wave. That’s not a categorization the 46-year-old resists by the way: She just doesn’t think chick lit is technically accurate when it comes to describing her eight – so far, all internationally bestselling –novels. She goes on to say that she feels that because of the timing – it was the height of Bridget Jones’s Diary, The Devil Wears Prada et al – her book about women in their 30s got lumped in with “true” chick lit, of the, shall we say, frothier, more fairy tale variety. Giffin trusted her publisher, so she also did not demur when the cover proofs arrived, showing an engagement ring set on a pastel pink background, her name all in the very-hip circa-2002 lower case. Now that we’re onto book eight, however, things have “evolved” a bit on the marketing front. 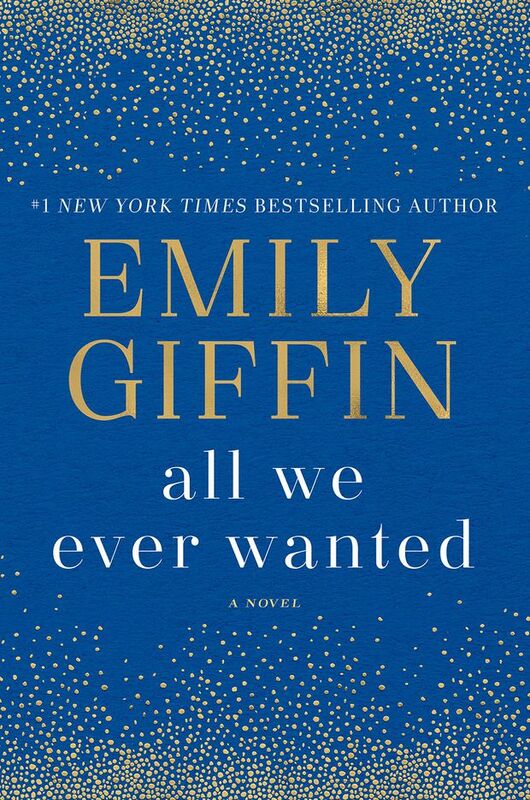 “I’m a capital letter kinda gal now!” Giffin says with a laugh, referring to the fact that her name has proper capitalization on the cover of Everything We Ever Wanted. Released in June, it’s a tale of two Nashvilles: One the country club-going landed gentry of Nina Browning and her tech millionaire husband, and the other the working class world of Uber-driving carpenter Tom Volpe and his daughter Lyla. These two lives collide when Nina’s son, Finch, posts a sexually explicit image of a severely inebriated Lyla to social media. In the writing, she worked through a concern of her own: "I was also interested in this idea of when and how does privilege morph into entitlement.” Choosing her words carefully, she continued: “I have observed certain things in the community that we live in in Atlanta. It’s a very upscale enclave called Buckhead, and it’s not the kind of place I grew up in.” (Giffin grew up in the Midwest and writes on her website about practising law to pay off her student loans). Although Giffin battles “anxiety and panic and self-loathing and fear” that beset her every time she confronts the blank computer screen, she’s never once doubted she could actually finish writing something, anything … even if it generally does take her around four months to write the first page.